πGrammatical Evolution is presented and its performance on four benchmark problems is reported. 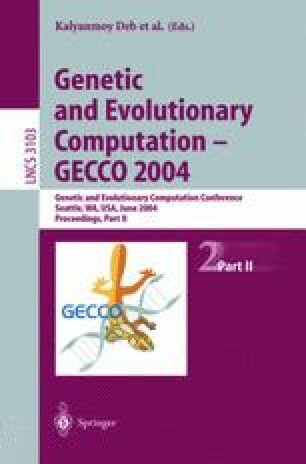 πGrammatical Evolution is a position-independent variation on Grammatical Evolution’s genotype-phenotype mapping process where the order of derivation sequence steps are no longer applied to nonterminals in a predefined fashion from left to right on the developing program. Instead the genome is used to specify which nonterminal will be developed next, in addition to specifying the rule that will be applied to that nonterminal. Results suggest that the adoption of a more flexible mapping process where the order of non-terminal expansion is not determined a-priori, but instead itself evolved, is beneficial for Grammatical Evolution.